Is your business on Facebook? Your customers are, so if you’re not promoting yourself on the biggest social media platform in the world you’re missing an opportunity to build brand loyalty, awareness and capture potential new sales. Managing a Facebook page can be time-consuming, however. And sometimes you need help just getting it launched. If the thought of creating/maintaining a Facebook page for your business leaves you feeling overwhelmed, Saucon Source can help. 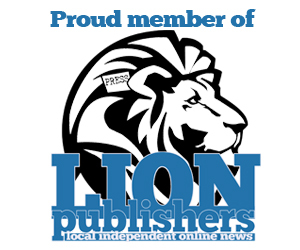 Publisher Josh Popichak is a social media veteran, having built and maintained successful Facebook pages for both Hellertown-Lower Saucon Patch (2010-2014) and now Saucon Source. 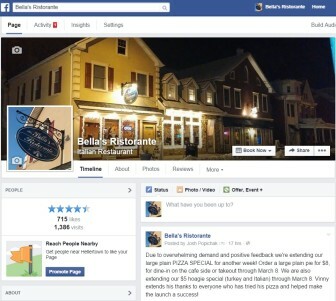 In addition to Twitter and Instagram accounts for Saucon Source, he also currently manages the popular Facebook page for Bella’s Ristorante in Hellertown, and he’s worked with a number of other local businesses and organizations to attract more followers and increase engagement. A screen shot of the Bella’s Ristorante Facebook page. Bella’s is an Italian restaurant at 639 Main St., Hellertown. In addition to understanding the local business landscape, Josh recognizes that each business is unique, and that what makes you unique can impact your business’s social media needs. Whether you need help with creating a new Facebook page, updating one or developing a comprehensive social media management plan, he is dedicated to finding the combination of solutions that will work best for you. 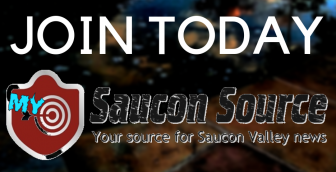 For a free, no-obligation social media consultation and quote, please complete the form below or email josh@sauconsource.com. Thank you for your interest in social media management from Saucon Source!